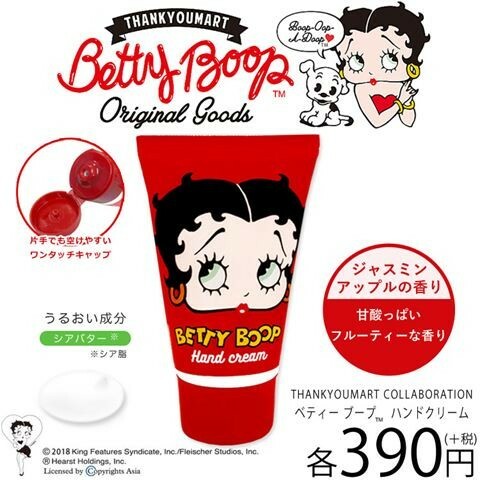 Previously, there was a new cosmetic product of "Betty Boop × Thank You Mart" collaborated cosmetic series which has sold out immediately with extremely high popularity. 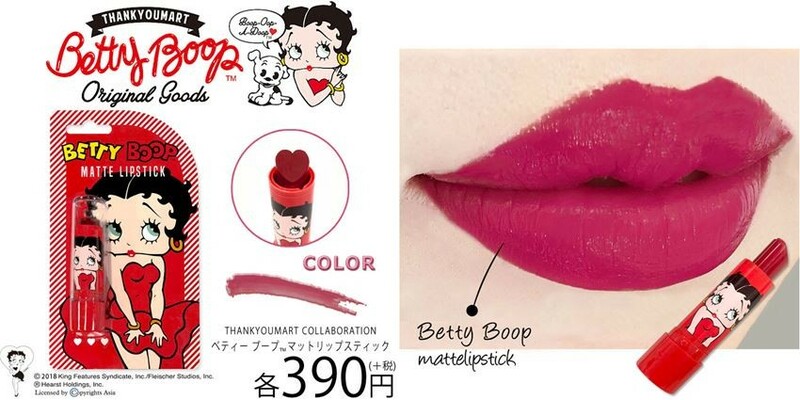 Currently, the second series is released at all the Thank You Mart in all Japan and also at its online stores. 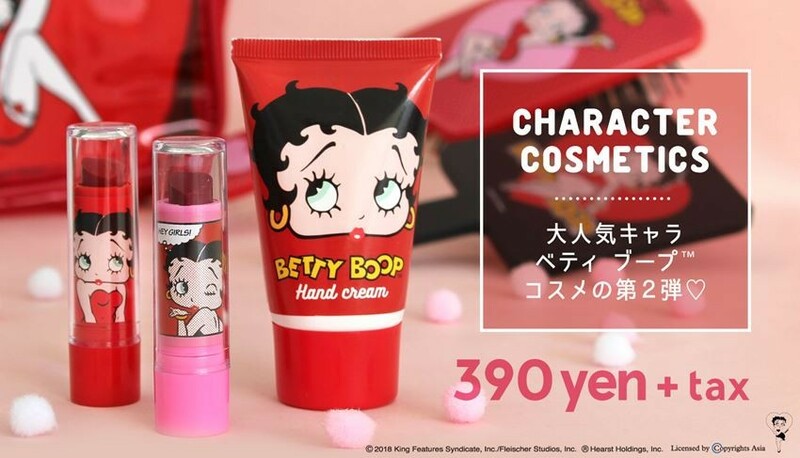 This time, there are two types of heart-shaped lipstick and a hand cream released. For those girl who think that, “I would prefer a cute one since is a stuff I will use daily”, this product series will bring your dream comes true. 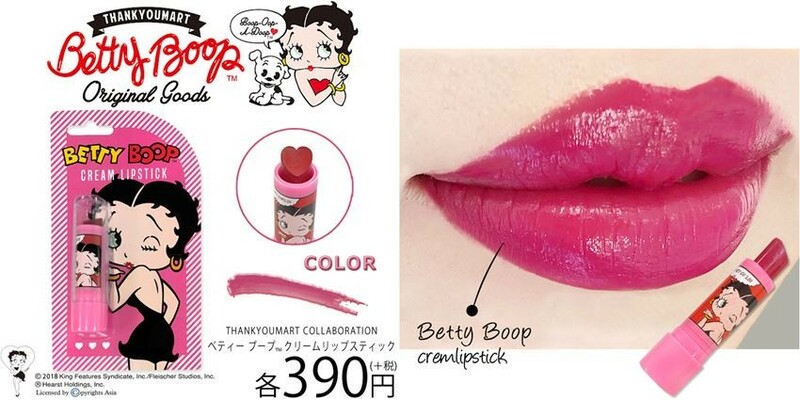 In addition, this cosmetic product which also emphasizes on its coloring and texture are all available at only 390 yen (tax excluded). It is a Harajuku based popular shop which has 10-20 years old generation as their major customer, selling clothing and miscellaneous at affordable price. 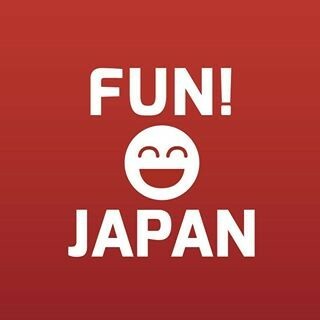 It is a shop which suitable for a youngster who "wants to get fashionable item with a limited budget" as it offers all the products at 390 yen (excluding tax).